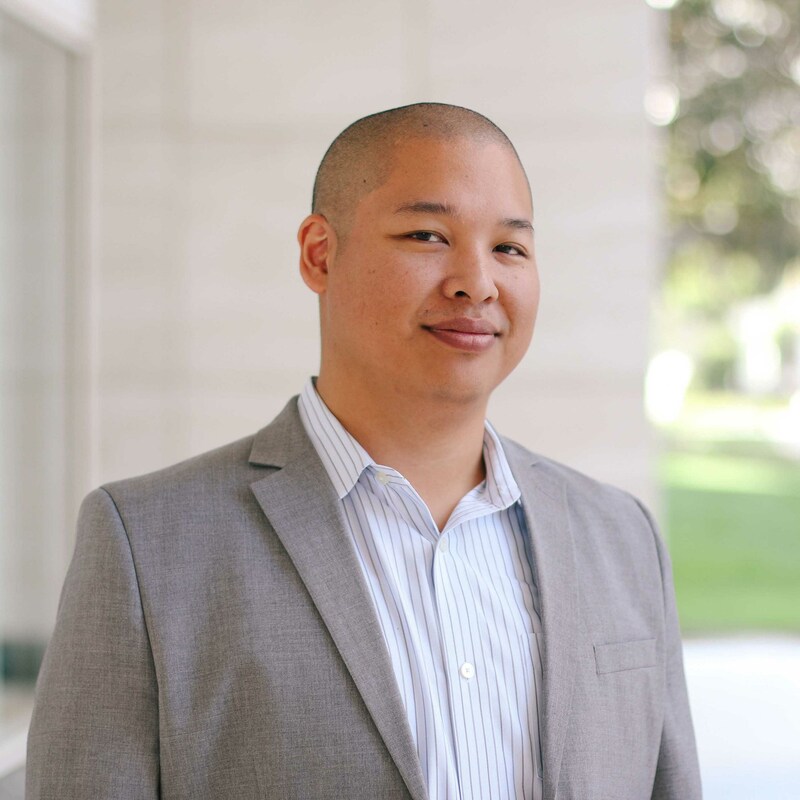 I’ve eaten at a lot of sushi places, all around Los Angeles and Orange County. So far the best sushi place I’ve eaten at was Akasaka in Hacienda Heights, CA. Today, I finally ate at a different sushi restaurant that I would put on the same level of quality. 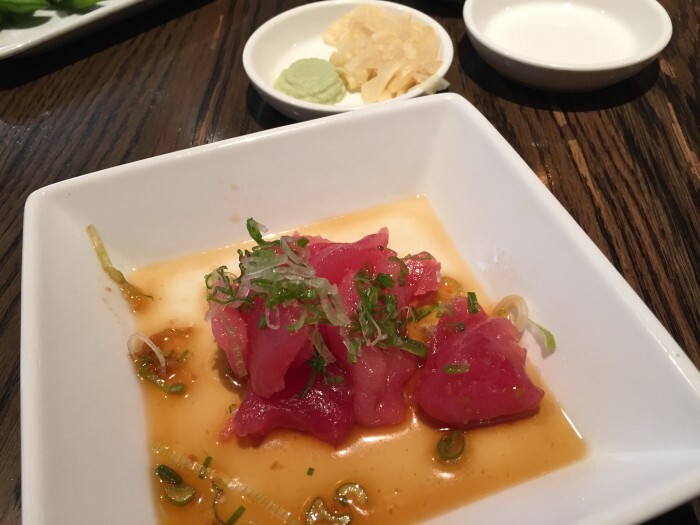 Here is my review of Sugarfish by Sushi Nozawa. I’ve heard about Sugarfish by Sushi Nozawa but today I got to eat there for lunch. I was blown away at the quality of the fish and the purity in the way each dish was served. 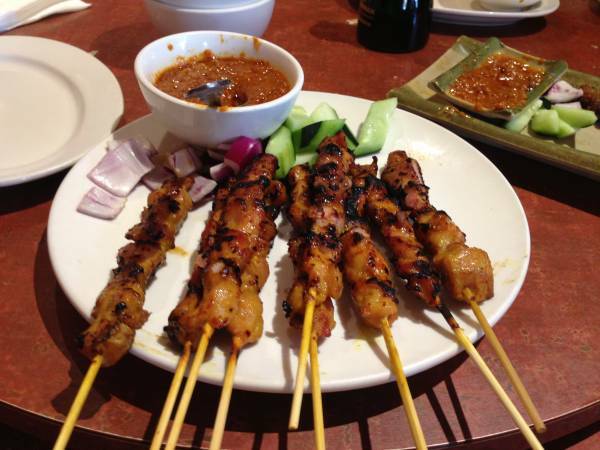 I will definitely be eating here again so I will add onto this review after eating different dishes, but for now I wanted to share the few dishes I did try. Sugarfish has a fixed menu called “Trust Me” which is what I tried today, above is the first dish – the tuna sashimi. 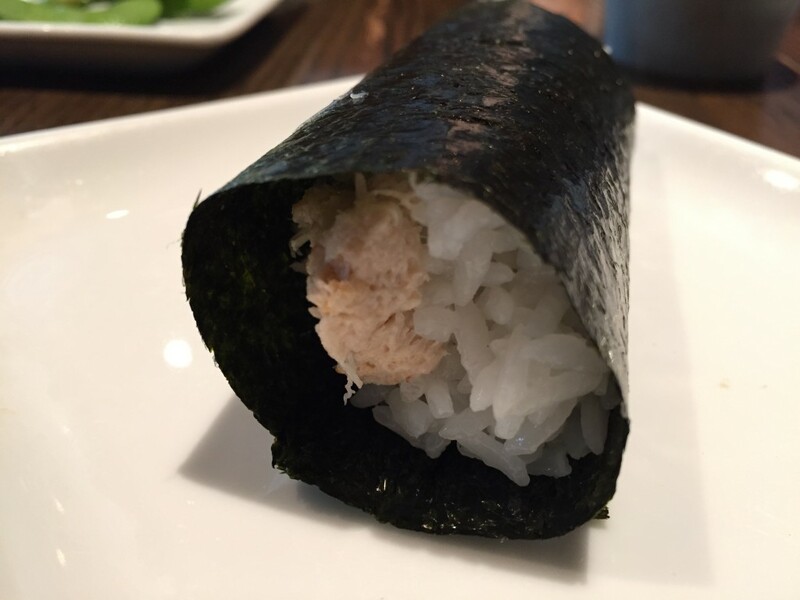 One of the thing that Sugarfish does right is the sushi rice – It is served warm while the fish on top is nice a cold. I dare say it’s the best sushi rice I have ever had. This technique creates an amazing bite that is full of flavor, texture, and varying temperatures. My second course was the Albacore and Salmon sushi. I am normally not a fan of albacore at other sushi restaurants, but I was a huge fan of it today at Sugarfish. It literally melted in my mouth, and it was delicious. I am always a fan of Salmon sushi but the quality of Sugarfish’s salmon was top notch. Next I got to try their Yellowtail and Halibut sushi. 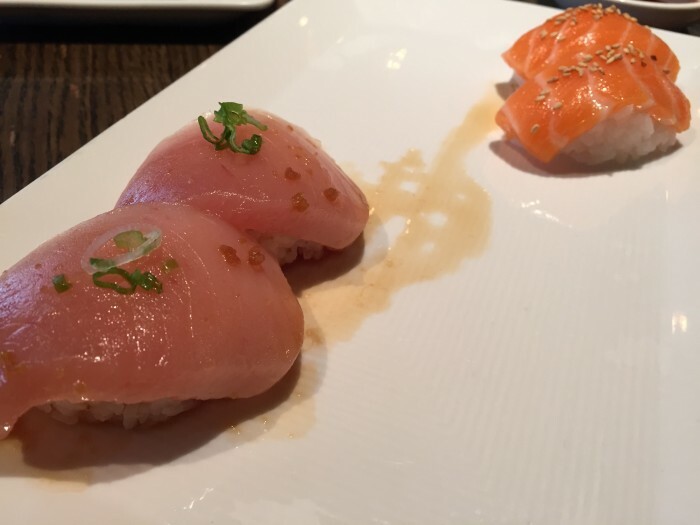 Yellowtail is one of my favorite sushi fishes and the quality of their Yellowtail was awesome. For the Halibut, they added a special sauce which added a nice kick. It definitely had a little more bite to it than their other sushi dishes, but it was still really good. For lunch they give you one piece of Yellowtail and one piece of Halibut, for dinner they give you two pieces each . 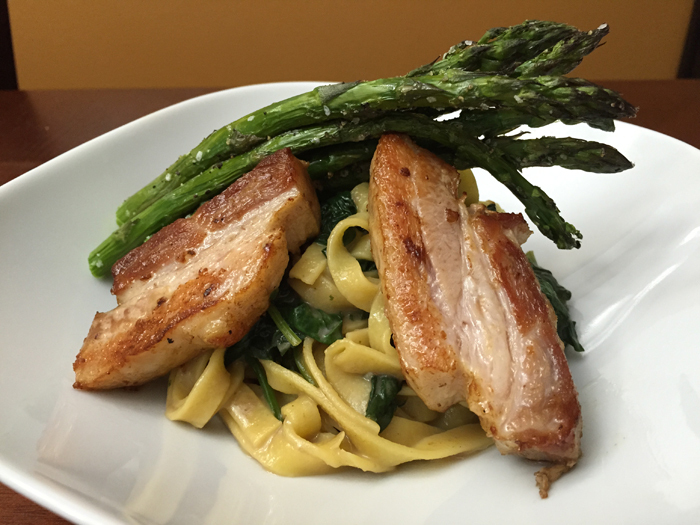 This is why lunch is $25 and dinner is $30 for the Trust Me fixed menu. 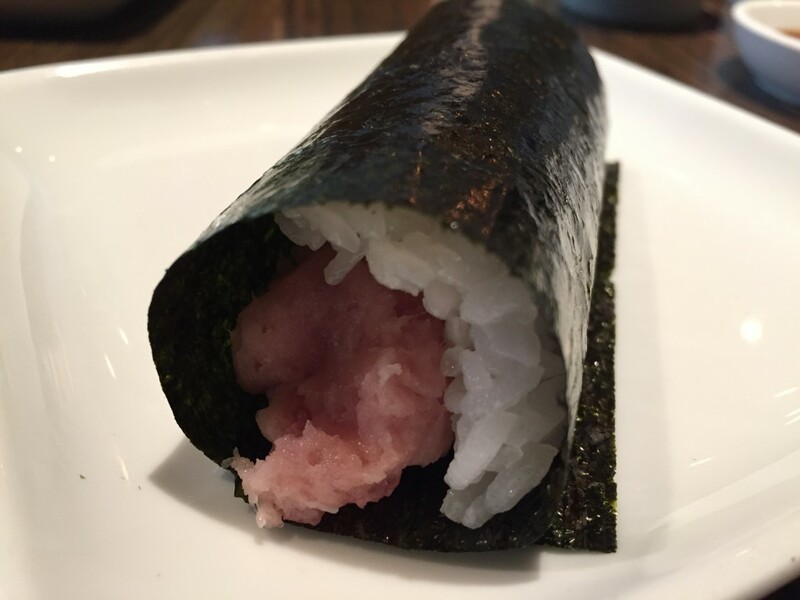 Above is a picture of the Toro hand roll which was really tasty. Surprisingly enough, not only is the quality of their fish and rice top grade, even their sea weed is super high quality. It was nice because the sea weed was nice and crunchy and it had plenty of natural saltiness so you didn’t really have to add much soy sauce. My final dish was the Blue Crab hand roll which was a great dish to end with. It was a little more savory and salty, which helped to round out the meal. 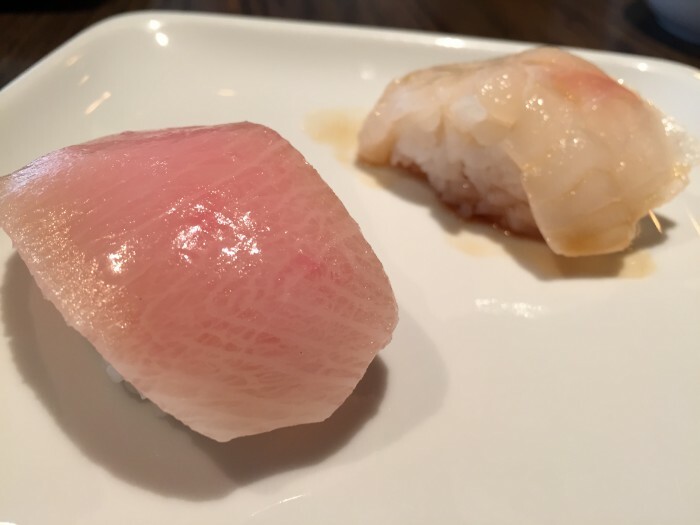 Overall I really liked the quality of the entire experience at Sugarfish by Sushi Nozawa. I also really appreciated the multi-course style meal because the timing between dishes was spot on, and made the meal a little more filling than if you just ate everything all at once. I was very satisfied without feeling stuffed. All I can say is I am looking forward to coming back soon!